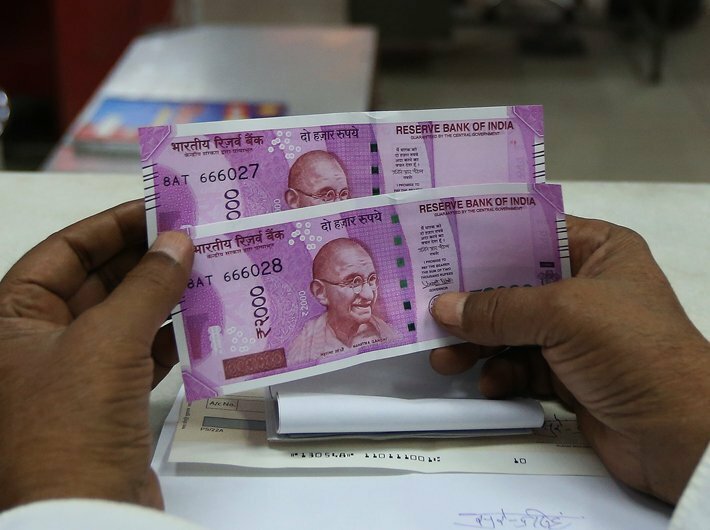 Central Board Direct Taxes has asked banks to report cash deposits aggregating to Rs 10 lakh or more in a financial year, in one or more accounts (other than a current account and time deposit) of a person. A notification has made it clear when the banks need to report to CBDT. One or more time deposits (other than a time deposit made through renewal of another time deposit) of a person aggregating to Rs 10 lakh or more in a financial year of a person needs to be reported. Payments made by any person of an amount aggregating to— (i) Rs 1 lakh or more in cash; or (ii) Rs 10 lakh or more by any other mode, against bills raised in respect of one or more credit cards issued to that person, in a financial year. Receipt from any person of an amount aggregating to Rs 10 lakh or more in a financial year for acquiring bonds or debentures issued by the company or institution (other than the amount received on account of renewal of the bond or debenture issued by that company) also needs to be reported. The banks need to tell the IT department when receipt from any person of an amount aggregating to Rs 10 lakh or more in a financial year for acquiring shares (including share application money) issued by the company. Receipt from any person of an amount aggregating to Rs 10 lakh or more in a financial year for acquiring units of one or more schemes of a Mutual Fund (other than the amount received on account of transfer from one scheme to another scheme of that Mutual Fund). Receipt from any person for sale of foreign currency including any credit of such currency to foreign exchange card or expense in such currency through a debit or credit card or through issue of travellers cheque or draft or any other instrument of an amount aggregating to Rs 10 lakh or more during a financial year. Purchase or sale by any person of immovable property for an amount of Rs 30 lakh or more, or valued by the stamp valuation authority referred to in section 50C of the Act at Rs 30 lakh or more. Cash deposits during the period November, 9, 2016 to December 30, 2016 aggregating to (i) Rs 12,50,000 or more, in one or more current account of a person; or (ii) Rs 2,50,000 or more, in one or more accounts (other than a current account) of a person.